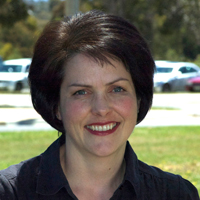 Alison commenced her PhD with CeRDI in 2016 with Melton City Council and Western BACE as industry partners. Her research is examining whether a relationship exists between the characteristic services offered by business incubators and their tenants' psychological capital. She has completed a Masters of Applied Science and a diploma in Project Management. Alison works as a Research Fellow at CeRDI and uses her experience in project management and coordination across a range of research projects and activities. Business incubators offer nascent businesses a protective and nurturing environment, supporting tenants to grow their businesses and be sustainable in the long-term. Thesis title: Learning through multimedia: The roles of prior knowledge and approached to learning. Ollerenshaw, A. (2015). Online pathways for dementia care. Australian Family Physician, 44(7), 510-513. Ollerenshaw, A. (2012). Literacy Trails: A whole-of-community program to encourage literacy and numeracy awareness for children in preschool and early primary. Australasian Journal of Early Childhood, 37(3), 147-153. McDonald, J., & Ollerenshaw, A. (2011). Priority setting in primary health care: A framework for local catchments. Rural and Remote Health, 11(2), 1-11. Ollerenshaw, A. (2009). Internet tool box for rural GPs to access mental health services information. Rural and Remote Health, 9(2), 1-7. Mason, R., McDonald, J., & Ollerenshaw, A. (2006). The emergence of water markets in Australia and implications for rural social work. Rural Social Work and Community Practice, 11, 6-17. Green, R., Mason, R., & Ollerenshaw, A. (2004). 13 Days and Counting: A Mutual Support Model for Young, Homeless Women in Crisis. Youth Studies Australia, 23(2), 46-50. Ollerenshaw A (2017) The relationship between business incubator services and the Psychological Capital of tenants. Federation University Australia Higher Degrees by Research Conference: Making your Vision a Reality, 27 July 2017, Federation University Australia, Ballarat. Murphy A and Ollerenshaw A (2011) Victims won't even report the crime let alone use support services: The complexities of building pathways to victim support services for marginalised people. Australian Institute of Criminology: Meeting the needs of Victims of Crime, May 18-19, 2011. Mercure Hotel, Sydney. Ollerenshaw, A., & Corbett, J. (2016). Central Highlands Digital Enterprise Program: Overview of research evaluation findings. Ballarat, Australia: Centre for eResearch and Digital Innovation, Federation University Australia. Ollerenshaw, A., & McDonald, K. (2014). Western BACE research, monitoring and evaluation: community research - development and infrastructure (Atherstone Estate). 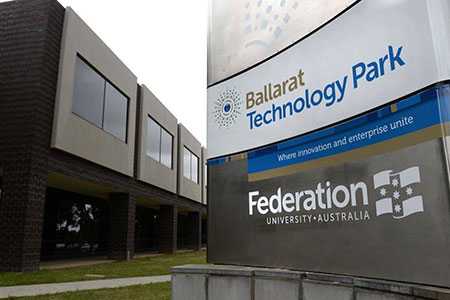 Ballarat, Australia: Centre for eResearch and Digital Innovation, Federation University Australia. Murphy, A., Ollerenshaw, A., & Gregory, R. (2012). The school-community nexus: Examining the school/community link across 4 regional school communities. Ballarat, Australia: Department of Education and Early Childhood Development. Murphy, A., McDonald, J., & Ollerenshaw, A. (2011). Mapping access and referral pathways for marginalised victims of violent crime in rural and regional Victoria. Balarat, Australia: Centacare, Catholic Diocese of Ballarat Inc.